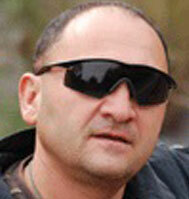 Mr. Arasli lives in the Republic of Azerbaijan. He holds a dual MA degree in Oriental Studies from Moscow’s Institute of the Countries of Asia and Africa and the MA degree in National Security Studies / Civil-Military Relations from the U.S. Naval Postgraduate School. He also graduated from the courses in the George C. Marshall Center, the NATO Defence College, Cranfield University / the UK Defence Academy, and the Geneva Center for Security Policy. His past experience includes service in the Soviet military advisory groups in North Africa and the Gulf, and jobs in the foreign relations establishment in Moscow, USSR (in the 80s) and the defence establishment in Azerbaijan (since the 90s). Mr. Arasli is a member of the Counterterrorism Working Group / the PFP Consortium of Defence Academies and Security Studies Institutes. His publications include a number of books, papers, and printed and online magazine articles, including Obsolete Weapons, Unconventional Tactics, and Martyrdom Zeal: How Iran Would Apply its Asymmetric Naval Warfare Doctrine in a Future Conflict (2007) and Pasdaran Incorporated: Evolving from Revolutionary to Praetorian Guard (2010). Areas of practical and research interests of Mr. Arasli are: modern warfare; asymmetric and non-traditional threats; violent non-state actors (i.e., terrorism, insurgency, organized crime); decision-making in national security; civil-military relations and civilian control over the armed forces; security sector’s reform; the Middle East. He speaks Arabic, English, and Russian.